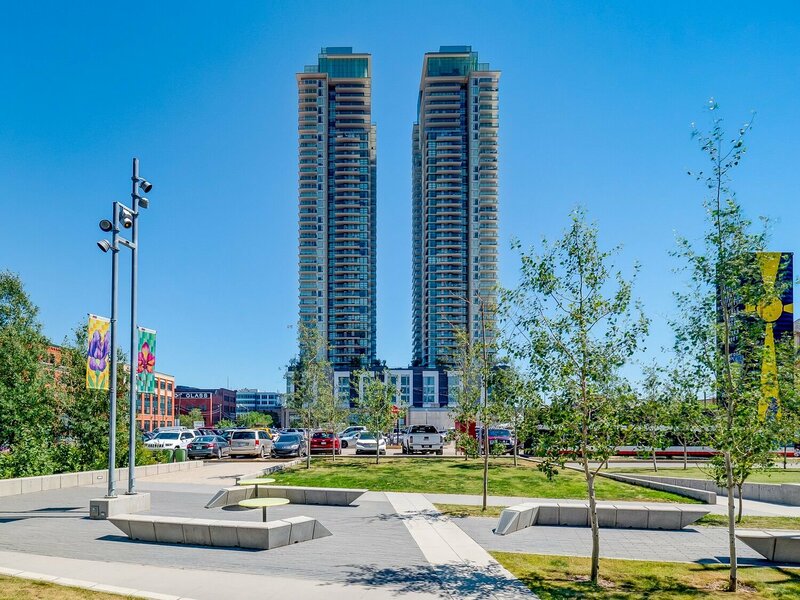 Situated in the beautiful and desirable downtown beltline community of near vcitoria park, the guardian north tower is an exceptional condominium building built to match the chic city elegance that surrounds it. nearby amenities drive the demand of this building with transit, fine dining, shopping, the stampede grounds, saddle dome, all just steps away. inside the building you'll find 24/7 concierge services, three high speed elevators, a beautiful entertainment room, rooftop patio, underground parking, and much more. Within the units you'll find custom cabinetry, top of the line finishes, stainless steel appliances, and beautiful views. Want more information about the Guardian tower? Keep reading and discover the beauty, amenities, and offerings of this world class condominium. INTERIOR LOOK AT CONDOMINIUMS AVAILABLE AT THE GUARDIAN IN CALGARY. Private balconies with many having incredible views of the city and surrounding area.